On April 8th 2019, Stringify announced that the Stringify service is shutting down. The app has been removed from the App Store, but they will continue to operate and support the service for existing users through the month of June, 2019. When they deactivate the app, they will also delete all of your Stringify user data. Configure and connect Harmony to your home Wi‑Fi network, ensure any Activities you would like to trigger with Stringify have been created. 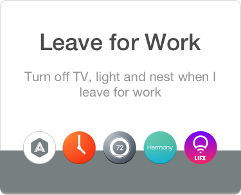 Harmony allows Stringify to start and stop Activities, but cannot currently control devices directly. Install the Stringify app to your iOS device and create an account. 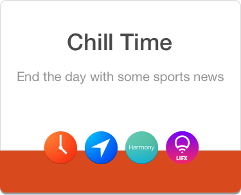 To add Harmony, launch Stringify and navigating to Things, tap New and select Logitech Harmony. Finally, tap Connect to complete the process. Use Harmony and Stringify to connect your devices and applications, opening up a wide variety of possibilities. In the example below, we'll walk you through the process of creating a Flow that includes Harmony Hub. Launch the Stringify app, navigate to Flows, then tap Create. 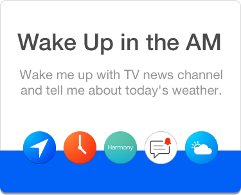 Tap Name your flow at the top, choose a name, and tap the + button. Select Harmony Hub along with other Things you'd like to include in your Flow. Tap Add and configure your Things, then Enable Flow to complete the process. Now that Harmony has been added to Stringify, you can start creating Flows that contain your Harmony Activities. Let's take a look at some examples to help you get started. 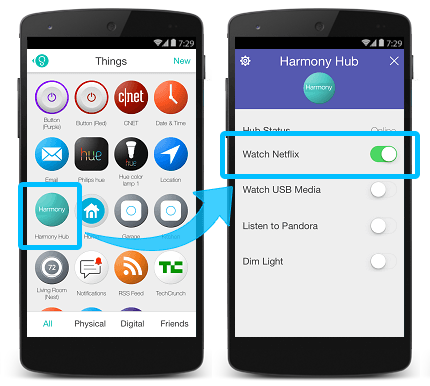 You can toggle your Harmony Activities from Stringify without creating a Flow by navigating to Things, selecting Harmony Hub, and tapping the toggle switch located on the right side of your desired Activity. 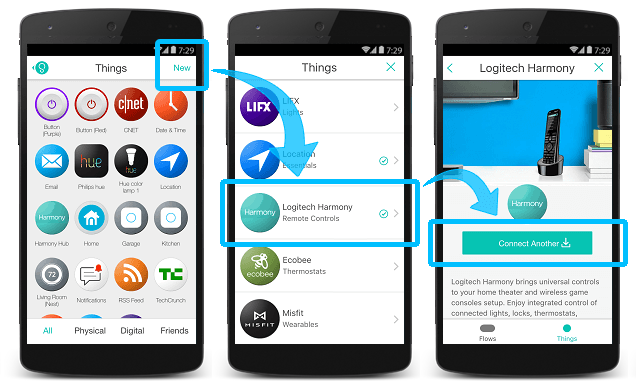 To add additional Harmony accounts, launch Stringify and navigating to Things, tap New and select Logitech Harmony. Finally, tap Connect Another to complete the process. Harmony connects with the Stringify servers, allowing you to trigger your Harmony Activities using the Stringify mobile app.